Somerset, NJ – Royal Philips (NYSE: PHG, AEX: PHIA), the global leader in lighting, today announced the unveiling of a first-of-its-kind, large-scale lighting installation at a major university campus that leverages Power over Ethernet (PoE) as part of the recently opened Watt Family Innovation Center at Clemson University. As a founding innovation partner of the center, Philips implemented a PoE-based indoor lighting system combined with LED lighting to provide flexible work spaces that encourage collaboration between faculty and students, optimize space management in the facility, and improve energy efficiency. This new lighting solution will deliver up to 70 percent in energy savings compared to similar buildings using conventional lighting. Ranked No. 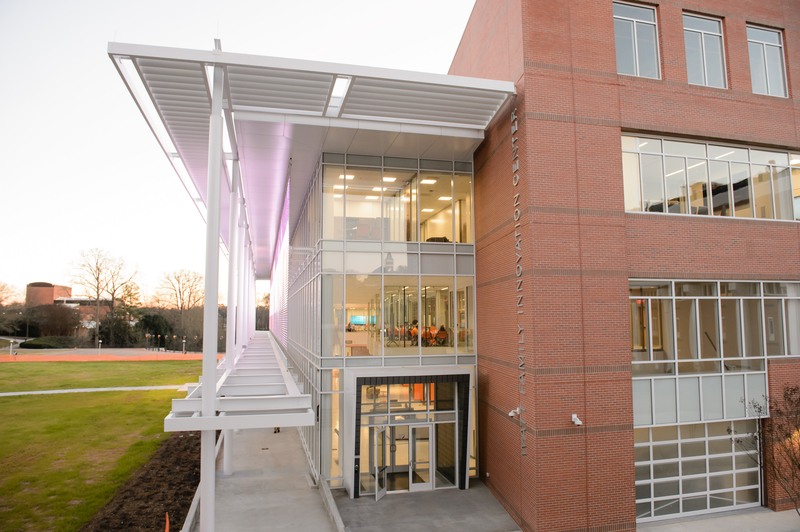 21 among national public universities, Clemson University is a major, land-grant, science- and engineering-oriented research university that maintains a strong commitment to teaching and student success. Clemson is an inclusive, student-centered community characterized by high academic standards, a culture of collaboration, school spirit and a competitive drive to excel. 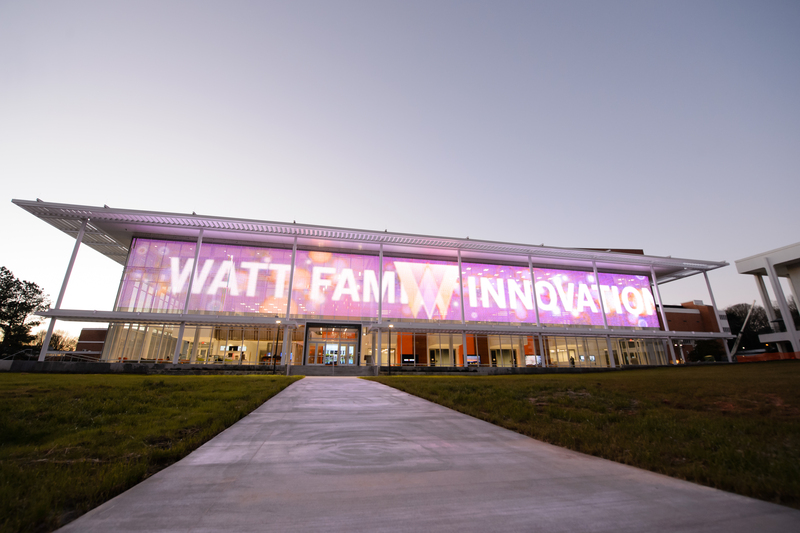 The gifts to establish the Watt Family Innovation Center and its Founding Innovation Partnerships are part of Clemson University’s $1 billion The Will to Lead capital campaign to support faculty and students with scholarships, professorships, facilities and technology. 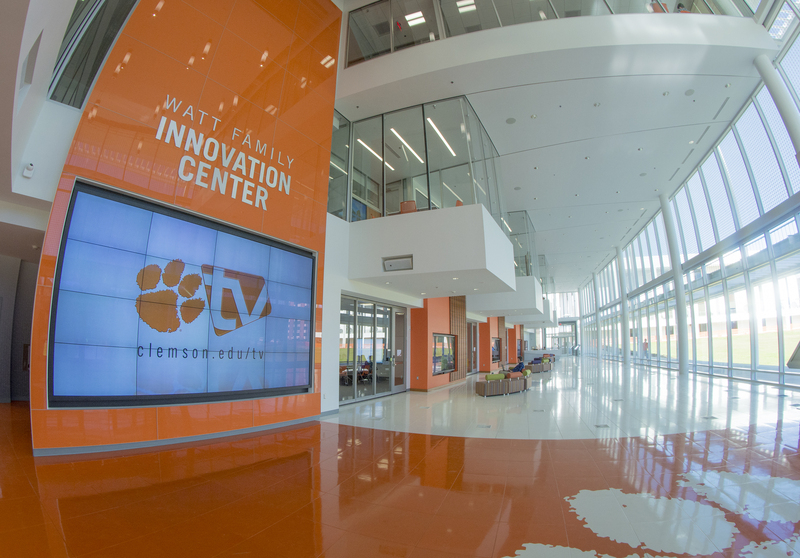 Located in the middle of the Clemson University campus, the Watt Family Innovation Center is available for undergraduate and graduate students in all disciplines as a flexible space for collaboration and project development and for industry and government partners to work side-by-side with students and faculty, exploring and discovering new concepts for the marketplace. At 70,000 square feet in size and four stories tall, it will provide a significant amount of additional space for teaching and research in science, technology and engineering. Designed to be LEED-Silver Certified, the building will have a robust infrastructure to serve the needs of an increasingly diverse student community and accommodate current and emerging technologies with minimal cost and effort.